A new map was released this year revealing the UK’s most dangerous roads. In July this year, Teletrac Navman released a map which indicates fatality data gathered by the Department of Transport and the Police Service of Northern Ireland over a 5-year period. 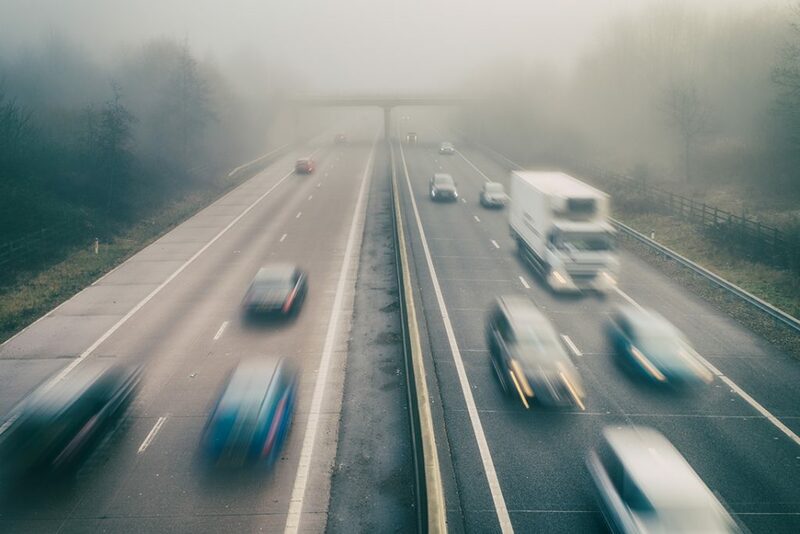 It identifies the UK’s most dangerous highways, routes that our drivers take on a daily basis. Between 2012 and 2016 a scary total of 8,534 fatal road accidents occurred across the UK. The worst being on the A6 between Luton and Cumbria, where a total of 70 fatalities were recorded. These statistics make this road the deadliest in the UK. 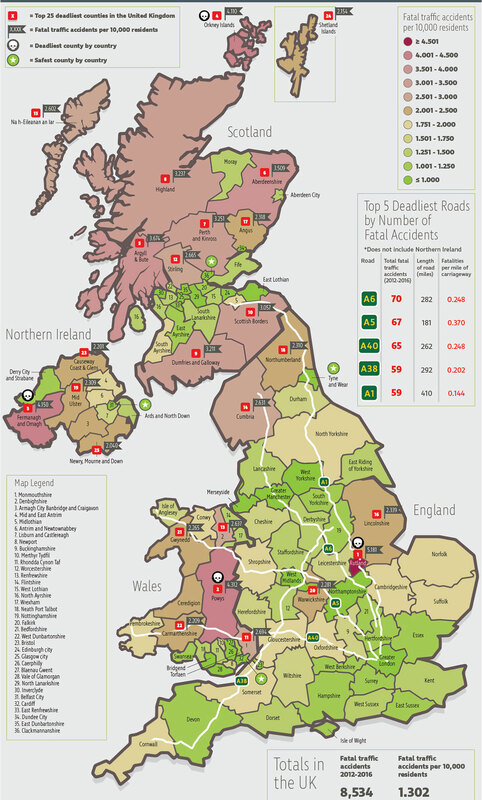 Moreover, the most hazardous road in the UK is the A6, connecting London to Holyhead with 67 fatal accidents, and the A40 from London to Fishguard is not far behind with 65 fatalities. The map shows the deadliest roads from country to country. As previously mentioned Rutland, England has the highest number of fatal incidents with 5.181 per 10,000 residents, followed by Powys, Wales with 4.312, Fermanagh & Omagh, Northern Ireland with 4.150 and the Orkney Islands, Scotland, 4.110. However, not all roads in the UK are bad. Scotland’s smallest City, Clackmannanshire, according to the map, has the safest roads in the UK and recorded no fatalities during 2012 and 2016. Cardiff, Tyne and Wear and Belfast City were next, with low fatality rates per 10,000 residents. The map also provides important fleet operations across the UK with greater visibility and access to powerful fleet management tools that contribute to keeping our roads safer and more efficient. Check the detailed map out below or if you drive roads like these, use our handy insurance checker to ensure you’re properly covered.